No other region of Italy has a culinary tradition as rich and varied as Sicily. In this food workshop and cooking demonstration Marisa Raniolo Wilkins, will prepare and demonstrate the ways Sicilian cuisine has been shaped and influenced by the dominant cultures of the Mediterranean from ancient times to the modern day, which includes Greek, Roman, Arabic, French and Spanish cultures. Her interest in food is very much driven by her curiosity in exploring her cultural origins as a first generation Italian-Australian. Over the years, Marisa has regularly travelled back to Italy and Sicily to visit her extended family, adding to her store of first-hand experience. 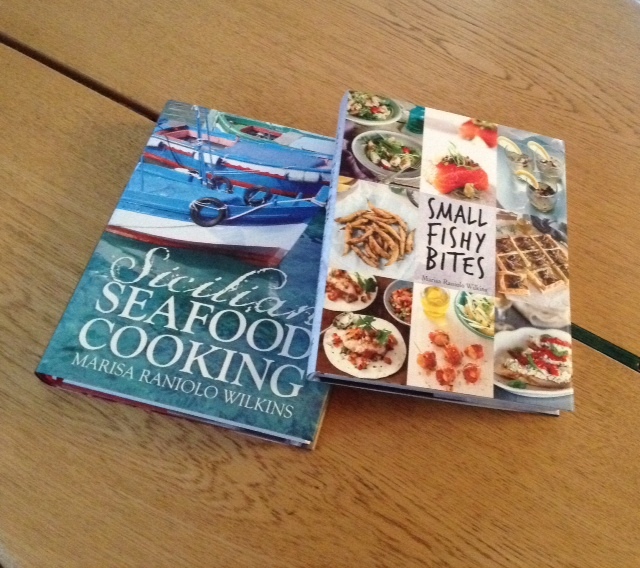 Marisa has written two books published by New Holland, Sicilian Seafood Cooking and Small Fishy Bites. Marisa wrote Sicilian Seafood Cooking as a way to document some of the classic, local Sicilian dishes cooked by her grandmas and aunties, and the food she has eaten on her travels around the island. Prawns with Pangrattato: lightly fried prawns with a Sicilian sprinkling of aromatic toasted breadcrumbs with Sicilian flavours. Pasta with Frittedda: a dish to celebrate spring vegetables with lightly sautéed broad beans, asparagus, peas and artichokes. Fausu magru: a Sicilian beef meat loaf braised in a tomato sauce and stuffed with cheese, pork smallgoods and eggs. A contorno (vegetable side dish) made with a seasonal vegetable. Cassata: a Sicilian moist ricotta dessert encased with sponge cake covered with marzipan.